These wipes work a bit better than Neutrogena® Makeup Remover Cleansing Towelettes - Fragrance Free and Neutrogena Hydrating Makeup Remover Cleansing Towelettes. They are overall more gentle on my skin, but they still irritate me if I use them as the only method of makeup removal. I wish that I could go back to the times that makeup wipes were my solution to all makeup mishaps, but now I can no longer do that. The sephora SEPHORA COLLECTION Cleansing & Exfoliating Wipes Rose - Ultra moisturizing & Brightening broke me out and hurt me so much, I only had success with the watermelon ones. So with my dry sensitive skin, the original Neutrogena® Makeup Remover Cleansing Towelettes - Fragrance Free were taking away too much moisture and causing my skin to get red and painful. I tried these and they are only marginally better. If I use them sparingly then I can avoid the irritation, but if I am not careful then I start getting red and my face starts to feel very painful and sore. 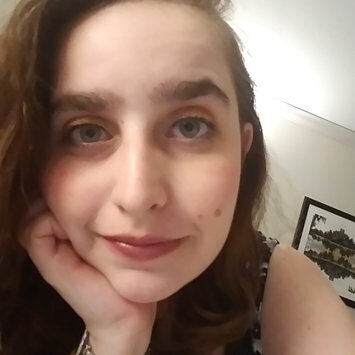 I've given up on this method of makeup removal for all but little touch ups just because it does not work well enough for me to spend the money on it. The wipe itself does the job, but it left my skin feeling like there was a residue on it. It worked more for me as a teenager, but as I have gotten older it has caused my skin to grow irritated without wiping all my make up away. I went from loving this product to being super disappointed and at times really cautious with it. I think depending on your skin type this might be a buy or bye sort of product. So I recently had an allergic reaction to something and I had originally used this on what I thought was redness and it contributed to the allergic reaction. Before the allergy, this was my miracle product. For those who have seen "My big fat greek wedding" this was my "windex" that I put on everything. Now I only use it on my face, particularly if my face is really red, it helps clear up any skin redness overnight and has yet to cause any negative reaction on my face. I really like tarte's amazonian clay blushes. From the tarte Limited-Edition Blush Bazaar Amazonian Clay Blush Palette to the tarte Tarteist(TM) PRO Glow Highlight & Blush products to even the singles, all of the blushes are super pigmented, go onto the face easily, and make for really pretty looks. The product quality is consistently good, and I have yet to be disappointed. Word of caution: many of the blushes have some shimmer in them, so if that is not your cup of tea, make sure to look at the colors you are selecting. Other than that I love this product! 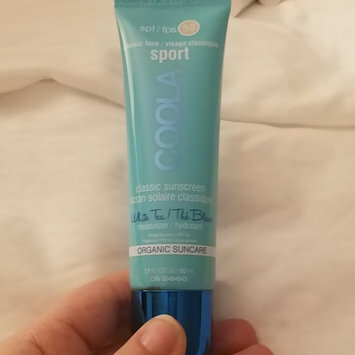 COOLA Sport Face SPF 50 White Tea Organic Sunscreen Lotion keeps my dry skin super hydrated while protecting it from the sun! Super lightweight but effective. I have not tested it after swimming, but I've walked the streets of sunny New Orleans all day and not gotten burned only after 1 application. My go to sunscreen for my face, shout out to #ipsy for the add-on! For my dry, sensitive skin this is a bit too much. Leaves my face feeling super tight, so I only use it when I really need a deep deep clean. Ive been preferring Caudalie Gentle Buffing Cream Gently Exfoliates instead.